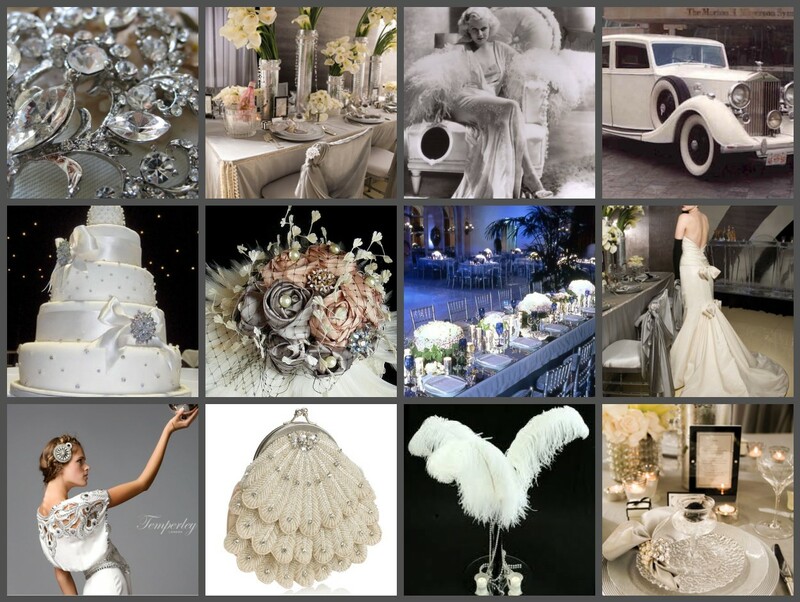 If you like the sparkle of sparkles and a sophisticated look, then I think you will like this inspiration board. Nothing says glamorous to me like Old Hollywood, so remember to keep it simple, think timeless and sometimes less can be more. You can take a “Glamorous Wedding” to a “Gaudy Mess” pretty quickly. I hope you enjoy this board as much as I enjoyed making it! 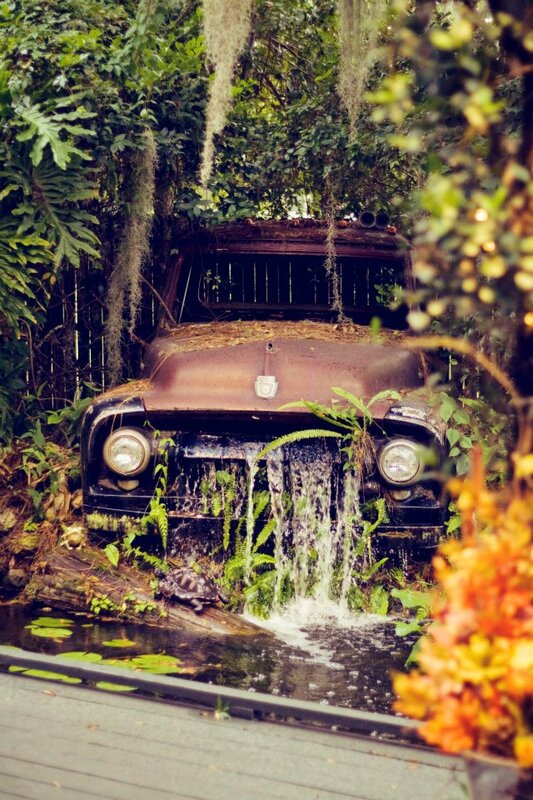 This time it was a “romantic swamp” wedding. Well Carrie, I hope you like what I came up with. If this doesn’t inspire someone to go for it and have the wedding of their dreams; I don’t know what will. 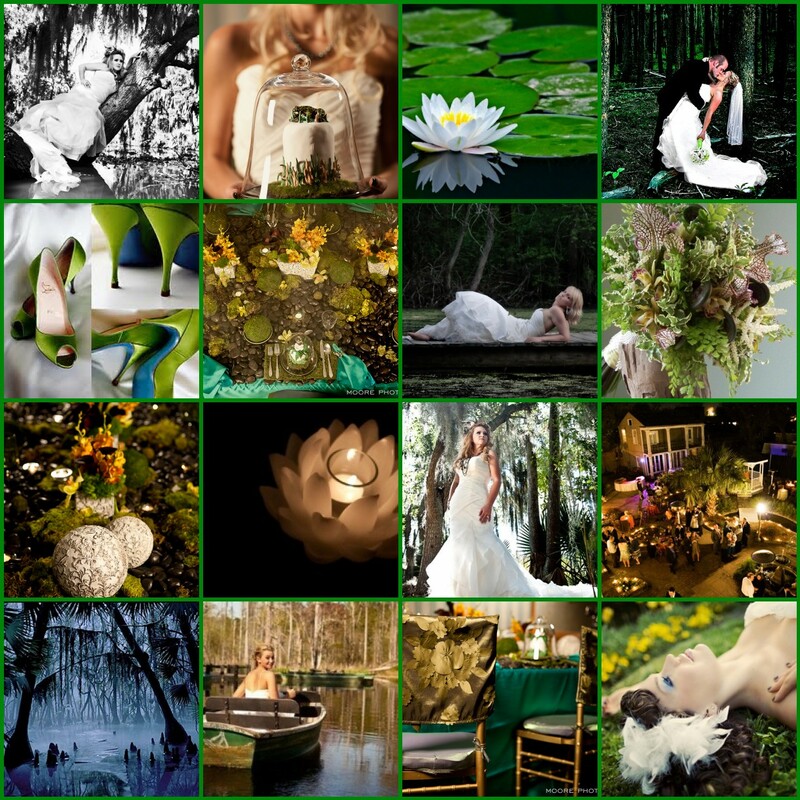 Even a romantic swamp wedding is within reach! Go for it! As a continuation of the challenge I posted on facebook; I was challenged by a friend challenged to create a “redneck wedding” inspiration board. Now I could have went completely cliché, but I decided to take a different approach. While I was looking at pictures I noticed that peacock feathers have deep and rich colors that are very similar to camouflage. So, I created a sophisticated twist on what you would think a “redneck wedding” would be. I hope you are inspired to think outside the box! I was looking for a challenge, so I asked my facebook friends to send ideas for a party/wedding theme and I will create an inspiration board. 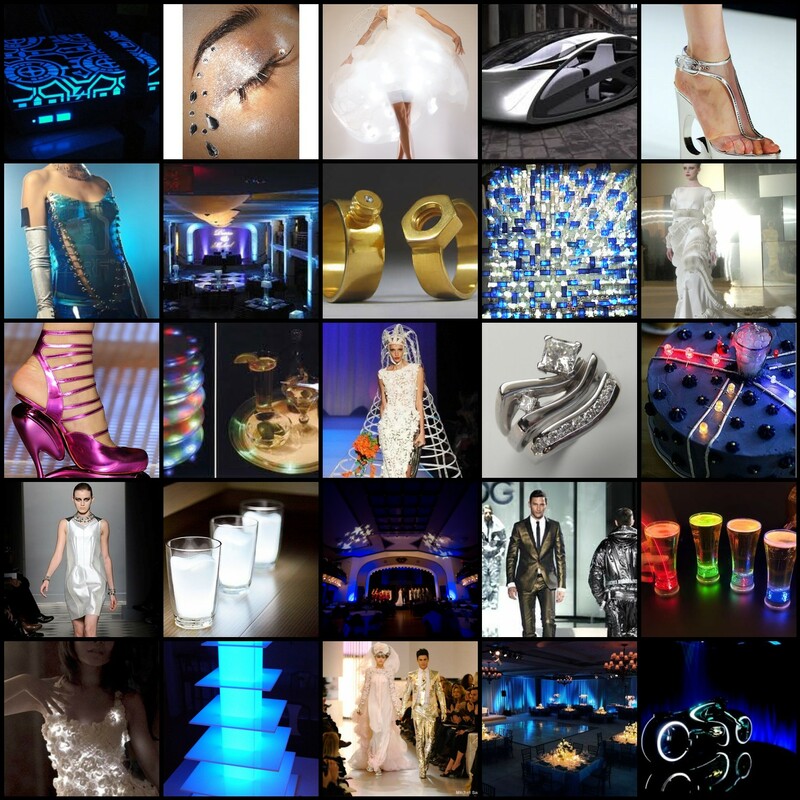 I was challenged to do a Tron inspired wedding and this is hat I came up with… What do you think? A good friend of mine attended a wedding over the weekend and told me I have to check the venue out. So I looked it up online at www.gigiscountrygarden.com. It is as cute in person as it is in pictures. It is a little rustic garden. The rates are super reasonable too! I have not personally attended a wedding at this venue but I trust my friend 100% and she said it was amazing! 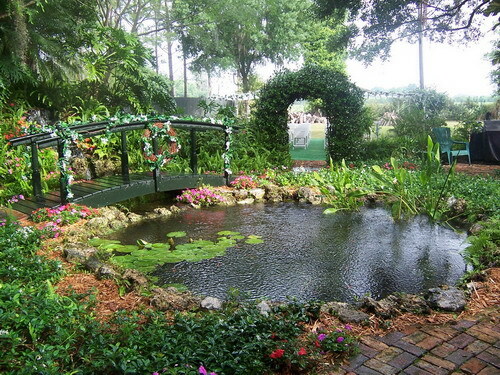 So if you are looking for a hidden gem of a location for a rustic outdoor wedding I recommend looking into Gigi’s County Garden in Plant City! A Hunger Games Alternate Ending Worthy of a Read!